Wisconsin goaltenders Matt Jurusik and Jack Berry stepped of the ice on a Monday afternoon dripping from head to toe and grinning from ear to ear. “It was fun!” Jurusik said about the day’s work on the ice. Now, I don’t know about you but my idea of fun does not involve strapping on pounds of padding to sit in front of a net while Division 1 athletes fire rock-hard pucks at you for an hour and a half. But to the young goalies, it’s just another day on the ice. There’s no doubt the goalie position in hockey is one of the most high-pressure roles in sports. They not only take on 80-plus mile per hour slap shots and 60 minutes of squatting, twisting and stretching, but when it comes to a loss, they often take the heat. The sophomore from Illinois has had quite a taste of that adversity in his second season as a Badger. 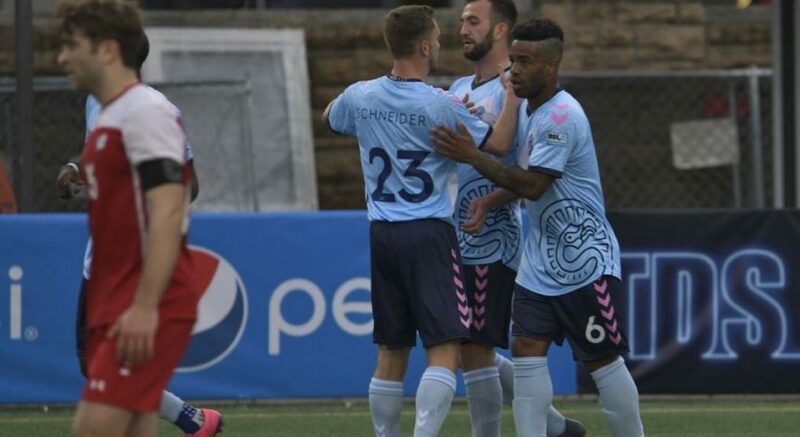 After starting the first seven games of the season, Jurusik led the Badgers to a 4-3 record but showed some signs of inconsistency, giving up six and five goals in two of those defeats. Freshman goaltender and Michigan native Jack Berry took full advantage of Jurusik’s slip-ups, allowing zero goals in just less than 60 minutes of ice time, earning his first career start as a Badger in the team’s eighth game of the year. The freshman began to thrive, going 3-1 in his first four career starts, including a shutout in his first full-time appearance. Meanwhile the hardships seemed to be piling up for Jurusik as he watched his starting position begin to slip away, sidelined with an early season injury. 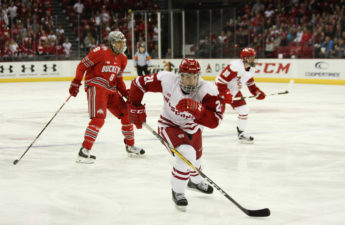 Berry took over for the remainder of nonconference play and started Wisconsin’s first Big Ten series against Michigan while Jurusik healed over the winter hiatus. Upon the beginning of a new year, and with a healthy Jurusik, the Badger coaching staff looked to have a problem on their hands. Two capable goalies, but only one net. Who’s going to be the guy? Starting with the team’s second conference match-up in Michigan State, the two have split time and success. After the rotation began, the duo went 11-7 in Big Ten play, putting them at the second spot in the conference and earning their team a first-round bye in the Big Ten tournament. Not many teams have had the success Wisconsin has rotating between players at such a mentally taxing and physically demanding position. The uniqueness of the mentality behind the goalie position makes the success of this rotation all the more impressive. “It’s tough mentally getting in there trying to do your best, and with the rotation you just gotta take the games that you’re given and play to your best,” Jurusik said. Like any position battle, tension and awkwardness between the competing players can sometimes hinder the success and camaraderie of a team. But these two goalies get along better than most athletes fighting for a starting spot. There’s no doubt this pairing is a special one considering their success in a Big Ten conference with four of its six teams ranked in the top 20. This includes both Penn State and Minnesota, who ended up just one game away from reaching the Frozen Four in this year’s NCAA Tournament. Despite a tough double overtime loss in the Big Ten Championship to PSU, both the goaltenders and this team have proven they are and will be serious contenders for years to come. 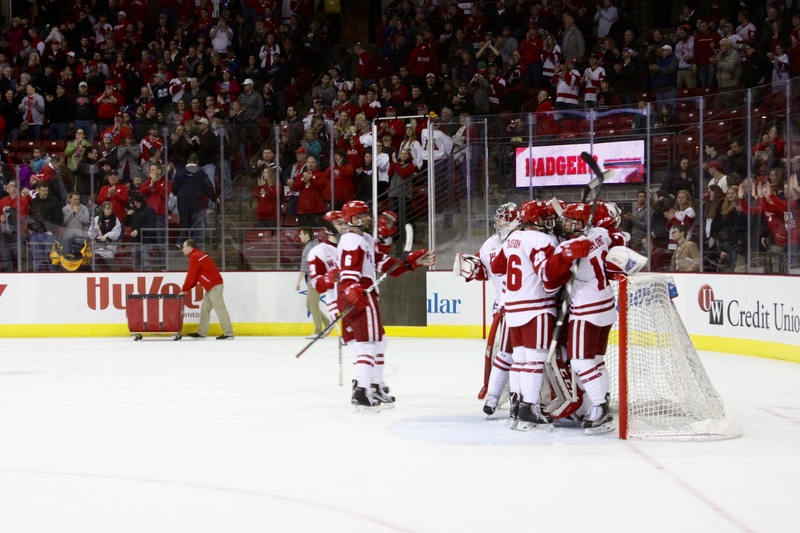 This season for the Wisconsin hockey program has exceeded expectations from day one. With brand-new coaches, a stream of fresh talent and two goalies who can clearly withstand any offense in the country, the future looks bright for this Badger squad.